He appears to be letting the sales guidelines sent to him in August move forward, even though he opposes giving 18-year-olds access to lifesaving naloxone. AUGUSTA — Gov. Paul LePage said Monday he is opposed to a new law that allows pharmacists to dispense naloxone without a prescription because it gives people as young as 18 access to the overdose antidote. 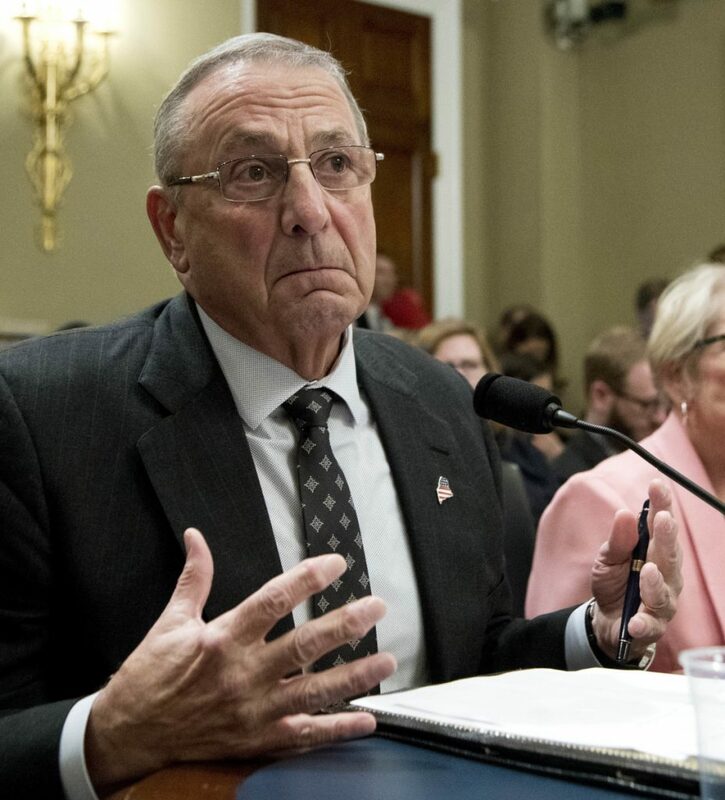 LePage also told a New England Cable News reporter that rules for the new law developed by the Maine Board of Pharmacy do not need his approval to move forward. But the president of the pharmacy board has said he is following a long-standing protocol by awaiting the governor’s approval of the rules, which were sent to him last August. April 2016: Legislators override Gov. LePage’s veto and pass a bill allowing over-the-counter sales of naloxone. December 2016: After a lengthy review, the Board of Pharmacy, which must craft rules for the drug to be sold, asks legislators to amend the law. June 2017: The state Legislature passes an amended version of the law. August 2017: The Board of Pharmacy approves rules for selling naloxone and forwards them to LePage. Although LePage’s press secretary has said the rules are pending in the governor’s office, LePage said Monday that the rules were not on his desk and he invited the NECN reporter to look for them. The governor said he opposes the 18-year-old age threshold in the rules because Maine recently raised the legal age to buy tobacco products from 18 to 21. He said he believed the minimum age for buying naloxone also should be 21, although the drug has no physiological effect on a person unless they are suffering from an opioid-induced overdose. “Naloxone only works if a person has opioids in their system; the medication has no effect if opioids are absent,” according to the Harm Reduction Coalition, a national nonprofit that works to address the adverse effects of drug use, including overdoses. However, use of the drug on an overdose victim who is opioid dependent will likely induce withdrawal symptoms. LePage’s press secretary, Julie Rabinowitz, did not respond to a request for an interview Monday with LePage. However, she confirmed the governor’s statements to the NECN reporter. Maine is losing one citizen a day, on average, to an overdose death, and the Legislature has passed at least eight laws to try to stem the epidemic. However, LePage and members of his administration have delayed the rulemaking process for at least two of the laws that would make naloxone, known commonly by it’s brand name Narcan, more widely available. One of the laws would allow the family or friend of someone at risk of an overdose to obtain naloxone from a pharmacy without a prescription. The rules to guide naloxone sales were sent to LePage after a unanimous vote by the pharmacy board. A second law would create a standing order for naloxone that harm-reduction organizations, including needle exchange programs, could use to obtain the anti-overdose drug from a pharmacy. LePage has been an outspoken critic of the widespread distribution of naloxone, saying it enables those suffering from substance use disorders to keep using drugs. Although LePage has pushed for a stronger law enforcement response to stop the flow of illegal drugs into the state, including adding officers to the Maine Drug Enforcement Agency, he has not been supportive of providing broader access to the antidote. Maine’s New England neighbors and most other states in the country have moved forward with policies expanding access to naloxone, and also have launched awareness campaigns that help citizens locate pharmacies or harm-prevention programs where naloxone can be procured without a prescription. Some states, including New York, also have set up programs that will help cover the cost of the antidote or partially offset it, if it is covered by a health insurance policy. The pharmacy board is scheduled to meet Thursday. It amended the meeting agenda Monday to include a discussion of the naloxone rules and a letter the board received from House Speaker Sara Gideon, D-Freeport, and Senate Minority Leader Troy Jackson, D-Allagash, urging them to publish the rules without LePage’s endorsement. In a notice to the public about the amended agenda, the board wrote that the Thursday discussion of naloxone “does not represent the opinion of the administration or the department.” Also Monday, the board made a copy of the draft rules available online for the first time since voting to approve them last August. Gideon said LePage’s statements on the issue Monday were a clear indication that he was removing himself from the process. Gideon said the motivation to move the rules forward quickly is simple. “People are dying. Get them the medication they need, that we have as a tool to save their lives, and then get them into recovery,” she said. But she noted that the state still has a lot of work to do to expand its treatment capacity and access to treatment for those who want it. Gideon said she was hopeful that the pharmacy board would move forward with the rules Thursday.